These days, I’m always wearing a full-length Winter coat, along with a sweatshirt, a fleece hat, a scarf, thick knee-high socks, slippers, and pants – underneath my other pants. This is pretty normal for me. I’m cold all the time. It’s definitely a circulation issue, as I also suffer from Raynaud’s disease, where a few of my fingers turn white when my hands get cold. Fun stuff. 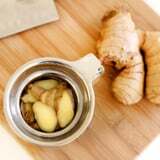 I heard that ginger has warming properties that could improve circulation and help prevent you from feeling cold all day. Ginger is a magical root, known to also help with digestion and soothe a sore throat, so if ginger could help me shed my layers indoors, I was all for it. I picked up some fresh ginger root, steeped a few slices in hot water, and drank fresh ginger tea every morning and every evening after dinner for a week. Compared to the ginger tea you buy in tea bags at the store, the flavor of fresh ginger tea is so much sharper and more vibrant – in a good way. So I looked forward to my two cups each day. Cupping my hands around the hot mug and sipping the steamy liquid definitely warmed me up from the inside out, even if for just a few minutes. But that happens with any hot beverage I drink. The flavor was a tad spicy, and that bite settled and lingered in my mouth for a few minutes. But I sadly didn’t experience any magical warming powers of ginger that prevented me from feeling cold all day or made me want to strip down to a tank top. Nope. The layers remained. Although sipping fresh ginger tea didn’t have the effect I had hoped for, I figured out a new method to warm me up when I’m feeling chilly: I do one minute of intense exercise. We’re talking burpees, squats, push-ups, jumping rope, dumbbell thrusters, plank jacks, or running up and down my stairs. It’s guaranteed to get my blood flowing, and a warm glow pulses through my torso and down every limb. 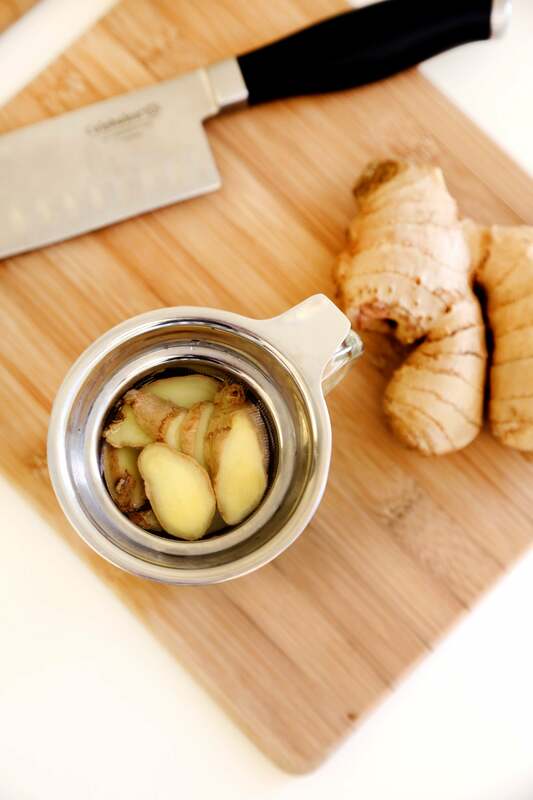 It’s way faster, cheaper, and more effective than preparing a fresh mug of ginger tea. Plus, it makes me stronger and burns a few extra calories!